Gifting Power 20 is easy. You can give a printed certificate to the recipient. Step 1. Find Power 20 on the internets. Click this link to find Power 20 online. 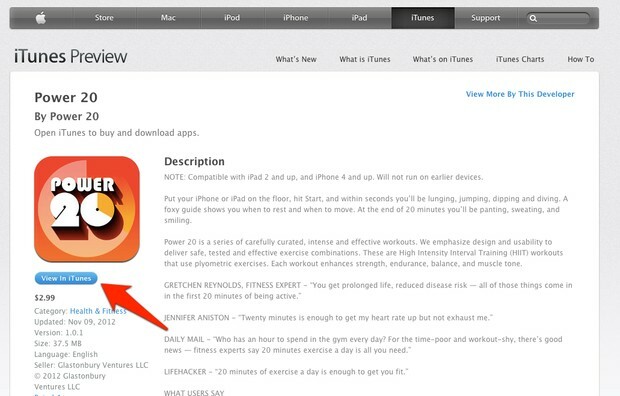 You can also click the App Store link above. From there, click the blue "View in iTunes" button. Step 2. Buy as a gift through itunes. 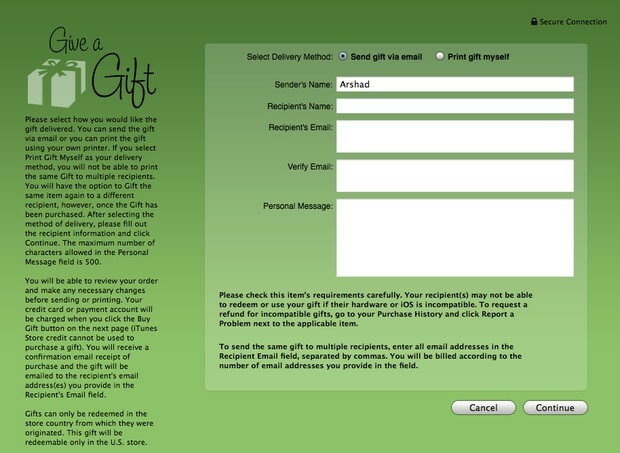 Click the drop-down arrow and select the option "Gift this App." Step 3. Decide who you'll give it to. 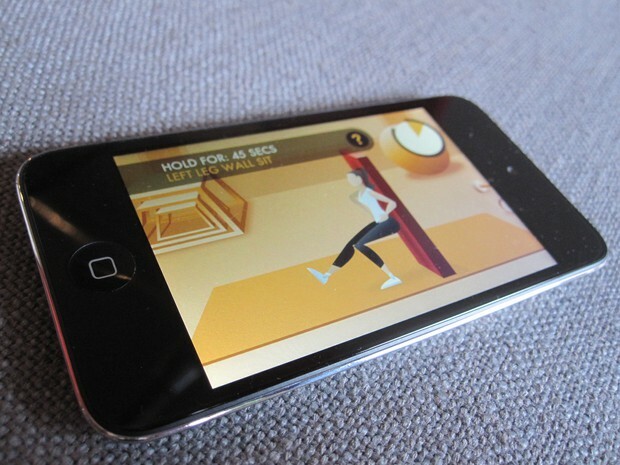 Put your iPhone or iPad on the floor, hit Start, and within seconds you’ll be lunging, jumping, dipping and diving. A foxy guide shows you when to rest and when to move. At the end of 20 minutes you’ll be panting, sweating, and smiling. Play your own music while you work out. Just push "play" and follow along. You can even watch TV while you use it. We have removed anything in the way of conveying a fast, effective workout. 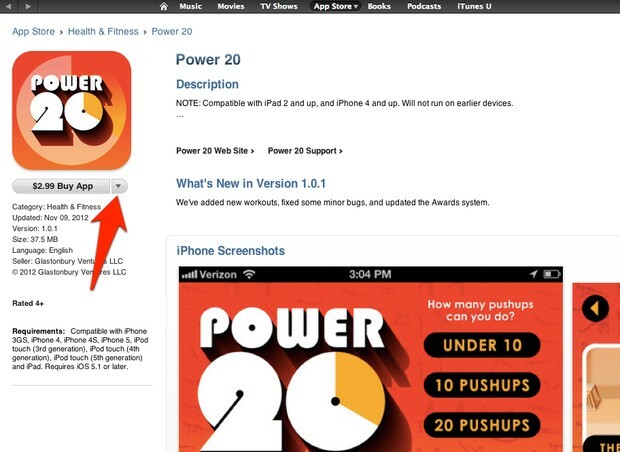 Power 20 is different because it's beautifully designed and intentionally simple. Get started in seconds and start seeing results right away. The timer tells you how much time remains for the current exercise and how much time remains for the whole workout. We keep it simple. You won't need much equipment beyond a wall and a chair. 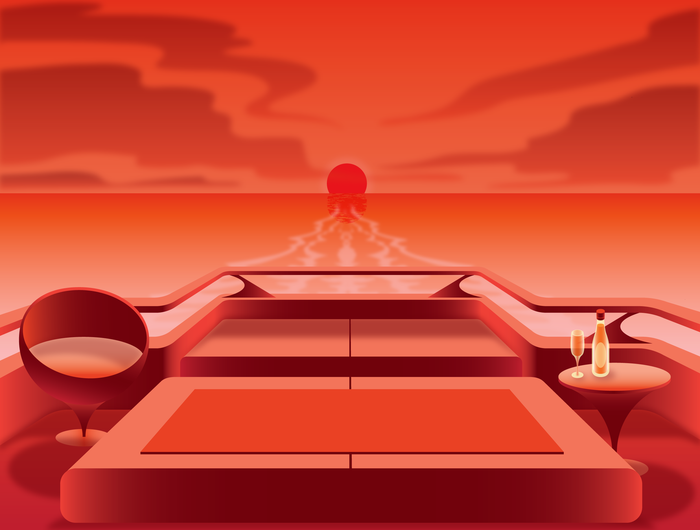 When you finish a workout, you'll unlock a new setting. 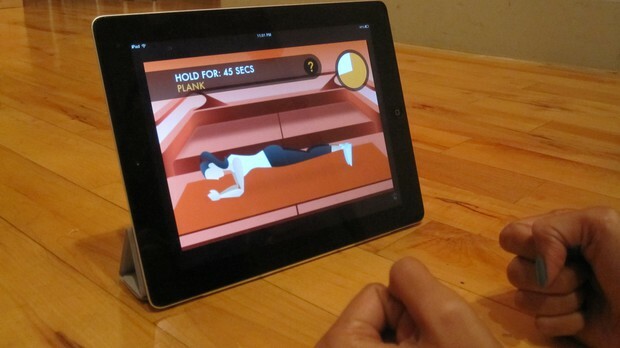 Before you know it, you'll be exercising on a yacht. "I've been looking for a clear, simple (cheap!) 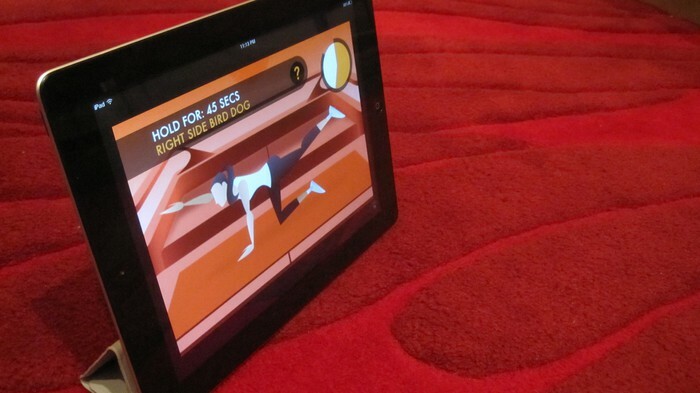 exercise app to do from home and this one is actually a great workout. I am sweating after, and it's not too hard on my body." Simple, effective, no annoying trainer voice! "This app got me sweating in no time. I loved that it didn't have an annoying trainer to direct everything....on other videos, its fine the first couple of times, but then i don't want to hear the annoying banter every time I use it. No problem here! 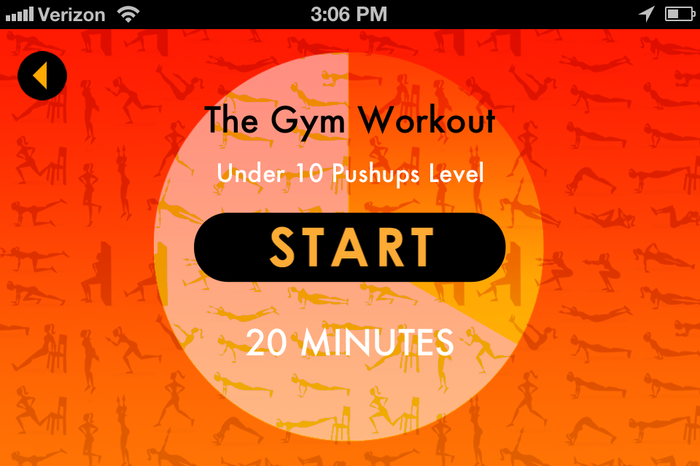 I can't wait to unlock the other workouts." "Bottom line, this is a really great product and great concept, the videos are very well done, it feels like a great work-out and the fact that each one is slightly different really makes me feel like this is something I will use all the time without getting bored or feeling real repetitive." 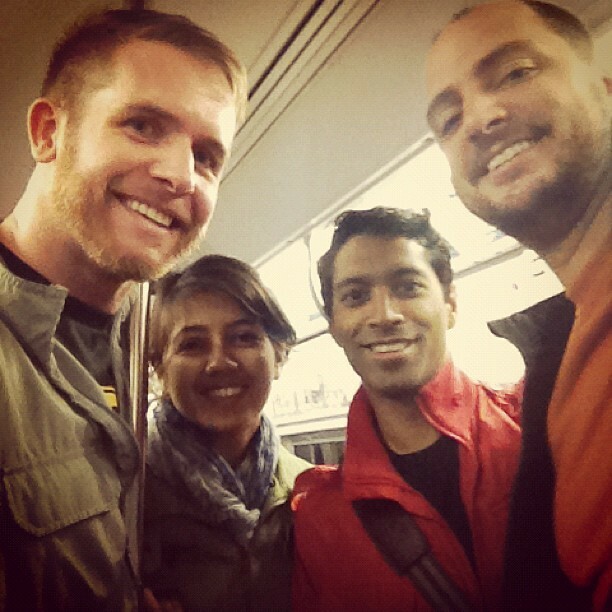 Power 20 is founded by Anika and Arshad Chowdhury, a Brooklyn-based husband-and-wife team. For Power 20, we worked with the renowned designer Justin Winslow and iOS developer Greg Cerveny. What is High Intensity Interval Training? High Intensity Interval Training (HIIT) involves brief, high-intensity movement followed by brief periods of rest. HIIT workouts can be more effective than 30 or 60-minute workouts. Power 20 is a form of high intensity interval training. What are plyometrics? All the exercises in Power 20 are “plyometric” exercises. Plyometrics are designed to produce fast and powerful movements that improve your ability to do useful, real-life tasks, like running in short bursts, lifting things, climbing stairs, and avoiding falls. 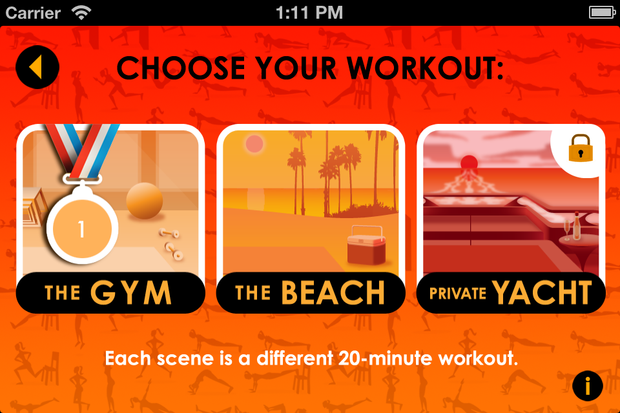 Coming soon: New workouts and new backgrounds will be sent directly to your phone. Requirements: Power 20 works on iPhone 3GS and up. It works on all iPads and iPod touches as well. Known bugs: On iPads, you have to resize the app before using it. Zoom in by clicking "2x." The app is crashing mid workout on some older iPod touches. Give feedback button is not working on the version 1.0. Listen, like most things in life, exercise can kill you. Consult your doctor before using Power 20.